Timber is an increasingly common building and cladding material, but rarer is the use of timber byproducts. 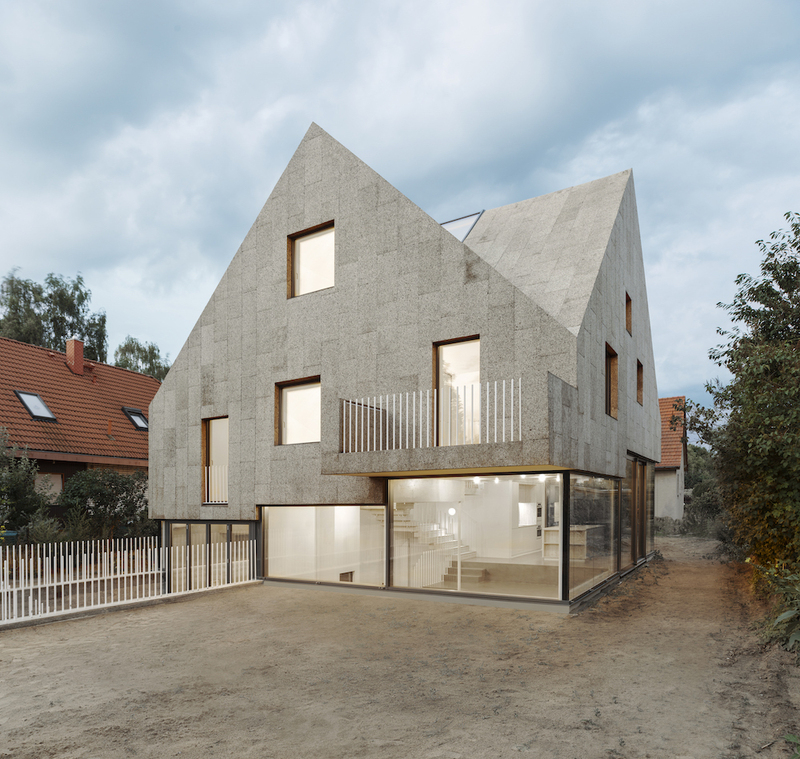 But the Cork Screw House, a three-story residential commission in a Berlin suburb designed by rundzwei Architekten, is clad and roofed with one of the most renewable tree-derived materials: cork. The project is located on a fairly modest lot within a suburban area. Due to zoning and height restraints, the design team had to maximize the total square footage of the building—roughly 3,200 square feet—with a few clever tricks. 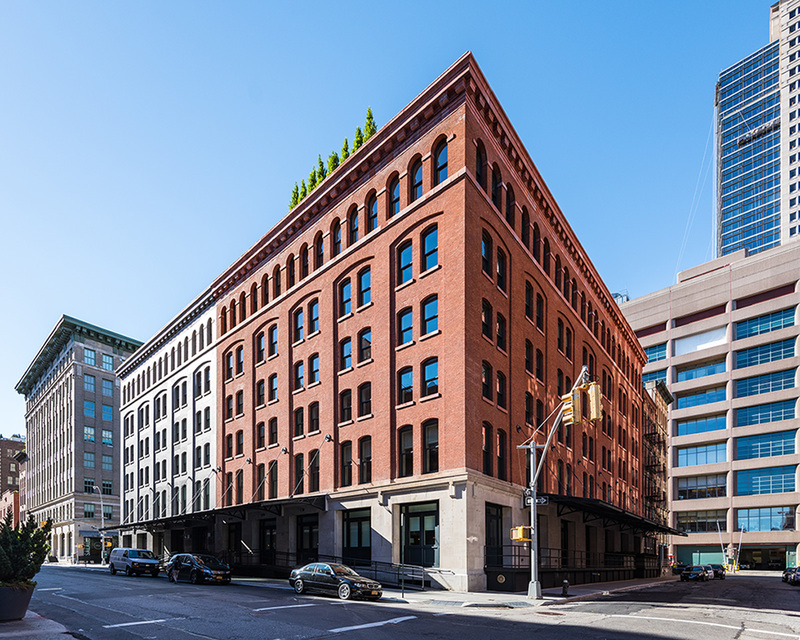 The massing of the structure bears a loose resemblance to the early 20th-century American Foursquare style, relatively boxy in character and restricted in ornament. The ground floor, a half-basement, is effectively burrowed in an excavated ditch ringed by rammed concrete. The fabrication process of cork panels is similar to that of other cork products produced by Portuguese manufacturer Amorim Isolamentos. Cork is extracted from the bark of the Cork Oak every seven to nine years, a process that leaves the tree trunk undamaged, allowing for further harvests. "The bark is rinded into granulate and formed into the panel shapes by adding pressure and heat," said the design team. "The heat releases the naturally inherent resins of the cork, avoiding the use of adhesive additives." Once solidified, the cork slabs can be cut using standard timber tools into various cladding sizes. In the case of the Cork Screw House, the standard dimensions of the cork panels are approximately 20 inches by 40 inches. The panels are fastened to the building's structural timber framing with a combination of permeable glue and mechanically fixed screws. Apart from the environmentally-friendly production of cork, the design team also opted for the material due to its weather barrier, thermal, and acoustical properties. 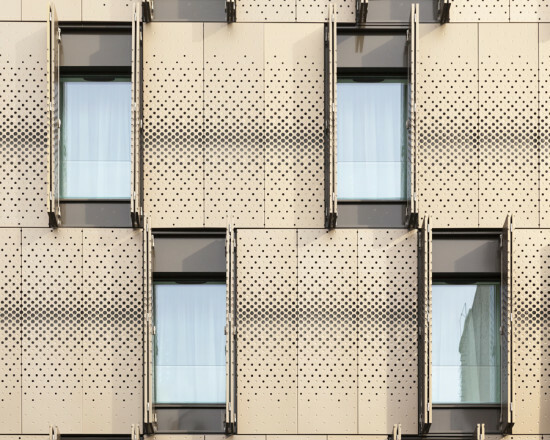 Owing to the cork's near impenetrability, the panels serve as an effective rainscreen for the structure's timber framing to prevent mold and water damage—similar to wooden drop siding. 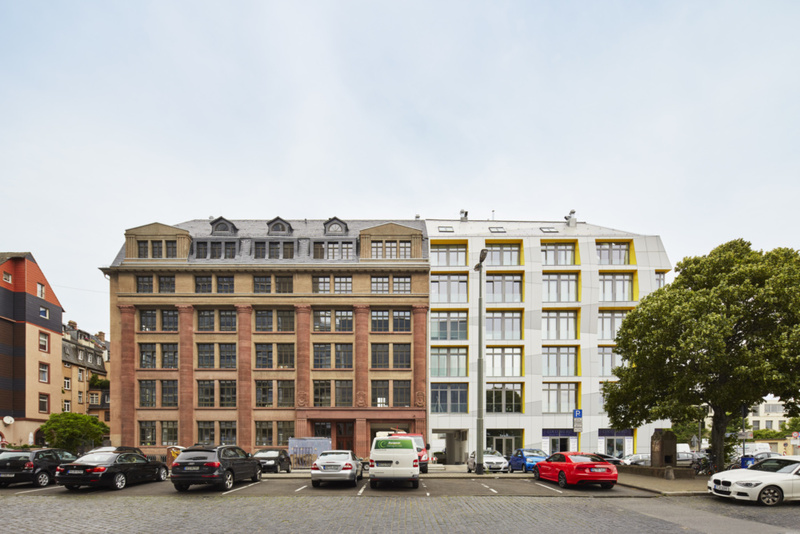 The panels are just over an inch-and-a-half thick, providing a significant boost to the building's insulation values while keeping out environmental sound. 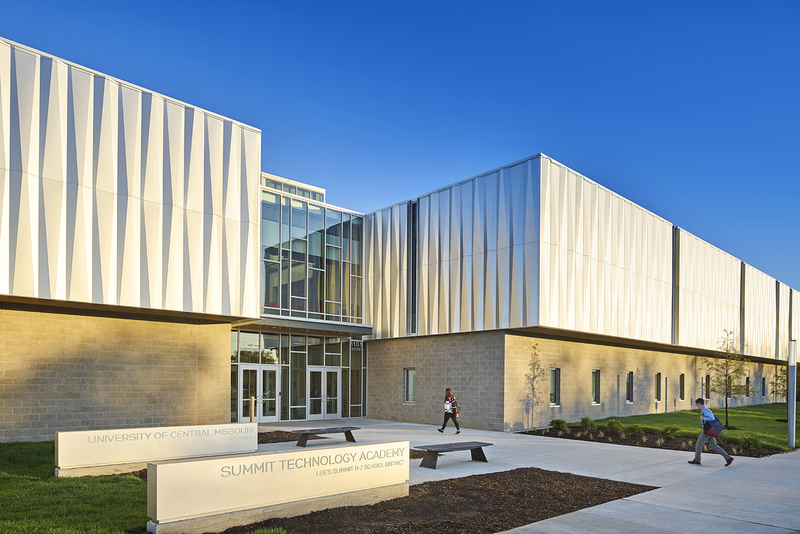 The Summit Technology Academy of the Missouri Innovation Campus, designed by Gould Evans and DLR Group, is a new education facility focused on bridging the gap between the workplace and the classroom. The building houses an innovative educational program developed by the University of Central Missouri, the local Lee’s Summit School District, and area industry participants. 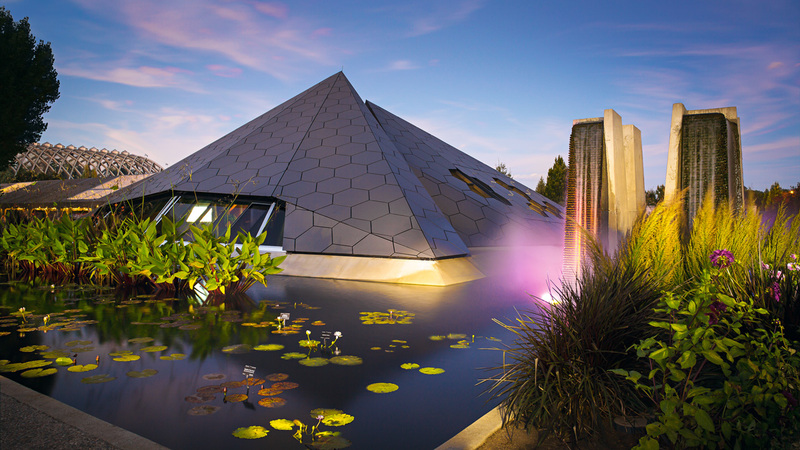 The collaborative nature of the program inspired the design team when planning the building’s facade. There are three primary systems on the facade. 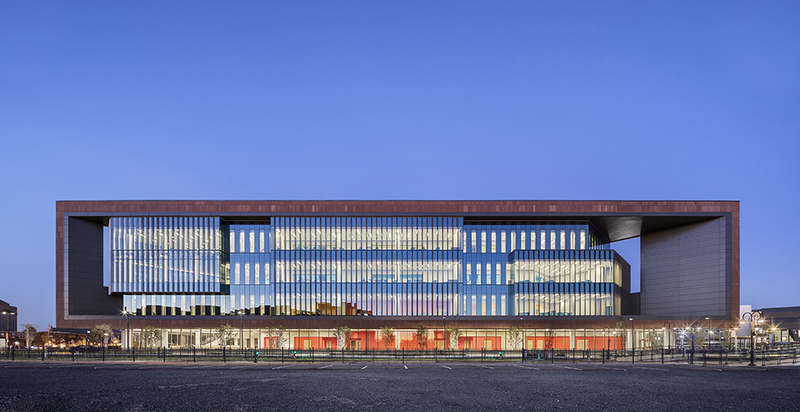 The majority of the building is clad with a custom-fabricated metal panel rainscreen across the second and third levels and a curtain wall glazing system between the metal panels. The first level is clad with burnished concrete masonry units and punched windows. 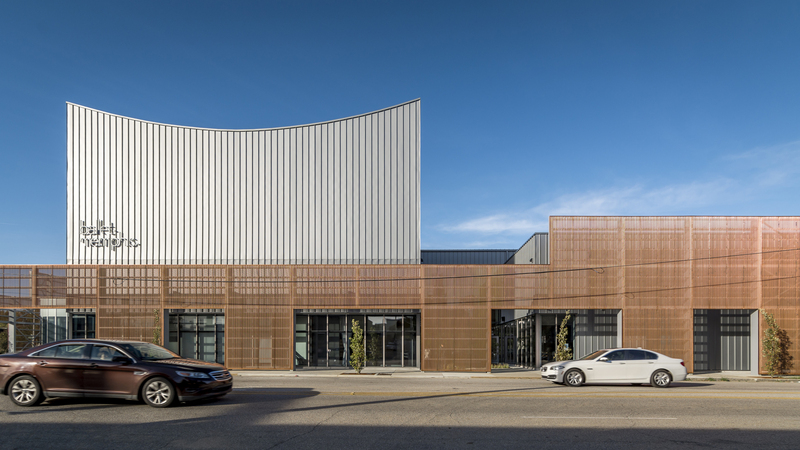 In an interview, Sean Zaudke, associate principal at Gould Evans and member of the design team, told AN, “We wanted the facade system to be something that was innovative and simple; something that was very specific to the project.” The metal panel facade was fabricated from standard anodized aluminum coil stock, which was bent diagonally at two locations on each panel. 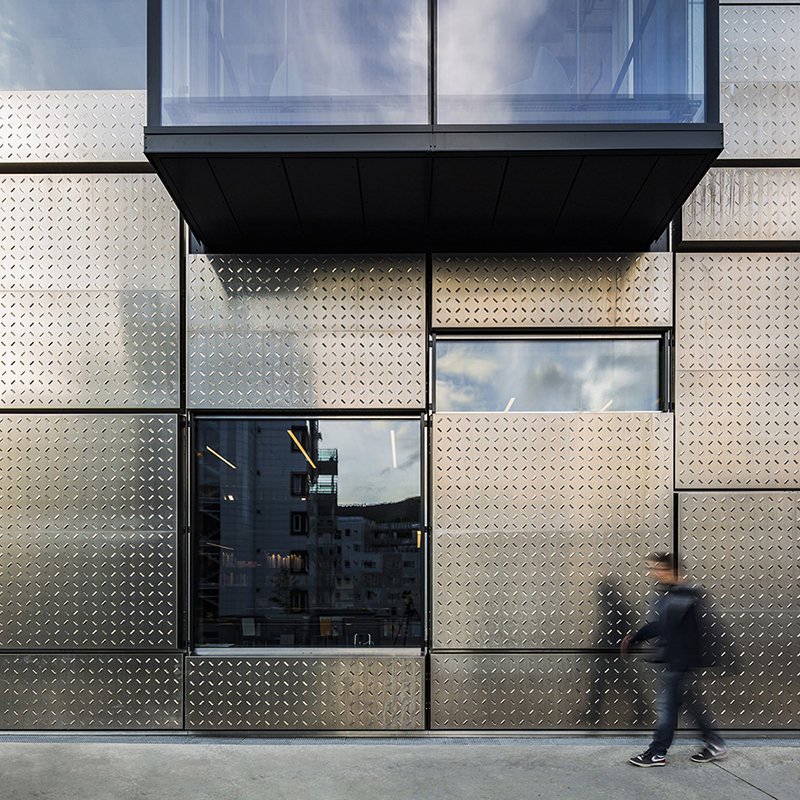 There was only one panel type, which was rotated and mirrored across the building envelope to create a rippling effect that responds to light in different ways. Each panel is ten feet long and two feet wide with a return at the edge so they lock into each other. The dimensions of the aluminum coil stock govern the height of the skin, so the metal facade is twenty-feet in elevation. The metal is a rain-screen system attached to a continuous insulation barrier with a horizontal girt system. At the very beginning of the project, Gould Evans was working with Standard Sheet Metal on the design of the panels. The team started with a series of paper mockup iterations to test different strategies to discover the most efficient panel design. The biggest challenge was maintaining a rectilinear edge while introducing two angular bends. After arriving at a solution, the project team worked with the metal fabricators to optimize the design. At the point where the facade meets the sky, the metal panels are met with custom bent closure panels. These close the building envelope at the back while maintaining its undulating profile. A simpler flat closure panel meets the bottom of the rain-screen system. Additionally, simple metal returns negotiate the joint between the complexity of the bent edge and the straightness of the glass curtain wall. Gould Evans designed the interior to be a flexible, adaptable space so that walls can move to respond to programmatic changes. The design of the curtain wall is adaptable in much the same way. Every piece of the curtain wall integrated into the rainscreen system is the same two-panel module and can be added, removed, or relocated. The system can be adapted as the needs of the educational program evolve. Snøhetta’s design for the Faculty of Fine Art, Music and Design (KMD) consolidates six previously scattered academic buildings into one multi-use cross-disciplinary building. The cultural landmark offers new public space and symbolic connectivity between the university and its Norwegian town. The architects sought to produce a facility that offered an “ideal and malleable space for artistic expression." They utilized robust, durable materials to withstand harsh workshop-like interior environments and a climate that is notoriously rainy. “The objective is to free students and staff from limitations by surfaces and materials,” said Snøhetta in a recent press release. KMD pairs two axes: an internal corridor dedicated to students and staff, and an external corridor open to the public. The two spaces intersect each other, forming what the architects call one of the most prominent features of the building: a 14,000-square-foot project hall. “It is here, in the transition zone between the public and the private sphere of the school, that the building offers exciting opportunities for students, professors, and visitors to connect, discover, and learn from one another.” The building’s entrance is connected to a large outdoor public plaza, which together with the large glass wall of the project hall, makes KMD an inviting and open building in dialogue with the city center of Bergen. 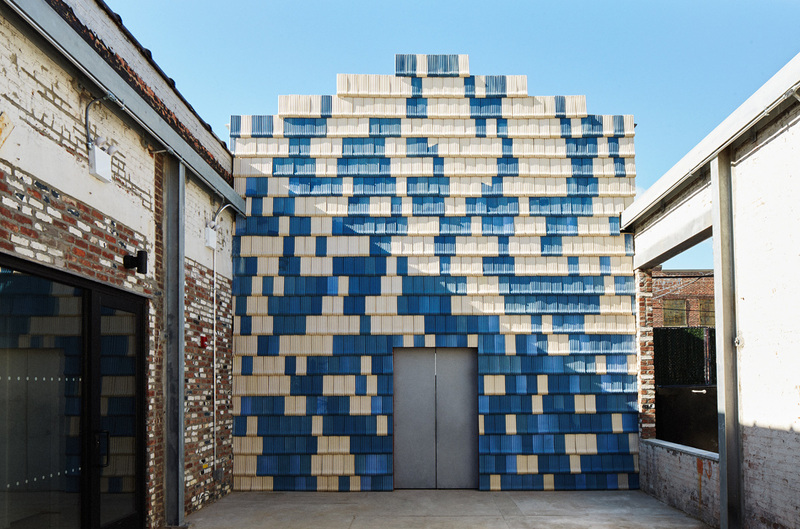 The building envelope features over 900 panels of pre-fabricated raw aluminum panels, specifically designed in variable dimensions and depths to produce a dynamic composition. The panels feature a custom patterning developed by Snøhetta and custom-made by local manufacturer Metha, based in the city of Røros just south of Trondheim. 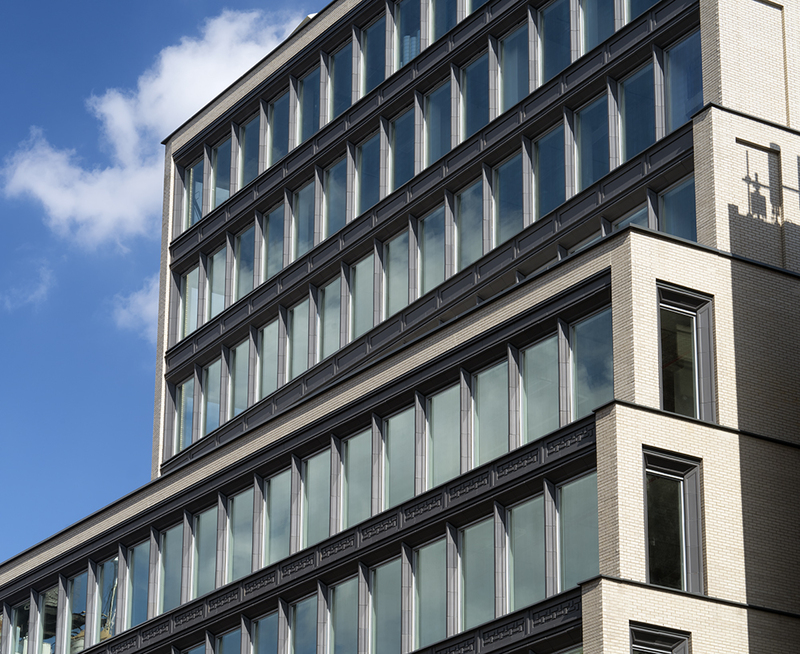 The aluminum-folded rainscreen cladding panels offset approximately four, six, and eight inches from the insulation line. Each set folds at the same angle, creating variations in the sizing of the shadow gap between the cassettes. By varying the depth of the facade, the building offers unexpected shadows cast by dynamic atmospheric conditions along Norway’s west coast. The architects say durability and robustness were “keywords” that helped guide all decisions made throughout the facade design process. “The rainy and sometimes stormy coastal climate demands all exterior materials to not only withstand harsh conditions but to weather in a way that highlights their unique qualities over time. The crude aluminum surfaces will gradually age and naturally oxidize, heightening the variations in colors and textures.” This robust and playful expression gives great flexibility when planning for windows and lighting conditions. The windows of the building are set at different heights, slipping into Snøhetta’s intentionally varied compositional scheme. This seemingly haphazard positioning allows for opportunistic interior moments where usable wall space and daylighting considerations can be maximized based on programmatic necessities. Large delicately-detailed cantilevered glass volumes, the result of a successful collaboration with Bolseth Glass, interrupt the syncopation of aluminum at key moments in the building layout. Furthermore, a large glass roof aids in the distribution of daylight into the building. The building is currently in its inaugural academic year, having opened this past October 2017. 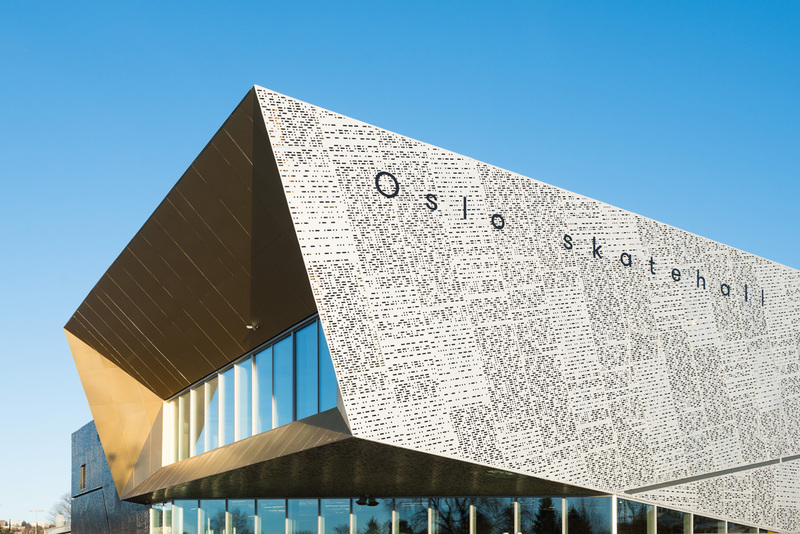 The Oslo Skatehall, which opened earlier this year, is a new 25,000-square-foot indoor venue designed to be shared between professional and amateur skateboarders of all ages. The building, located on a sloping site near central Oslo, is the result of a close collaboration between architects at Dark, a Norwegian-based firm of landscape architects and skate park design specialists.